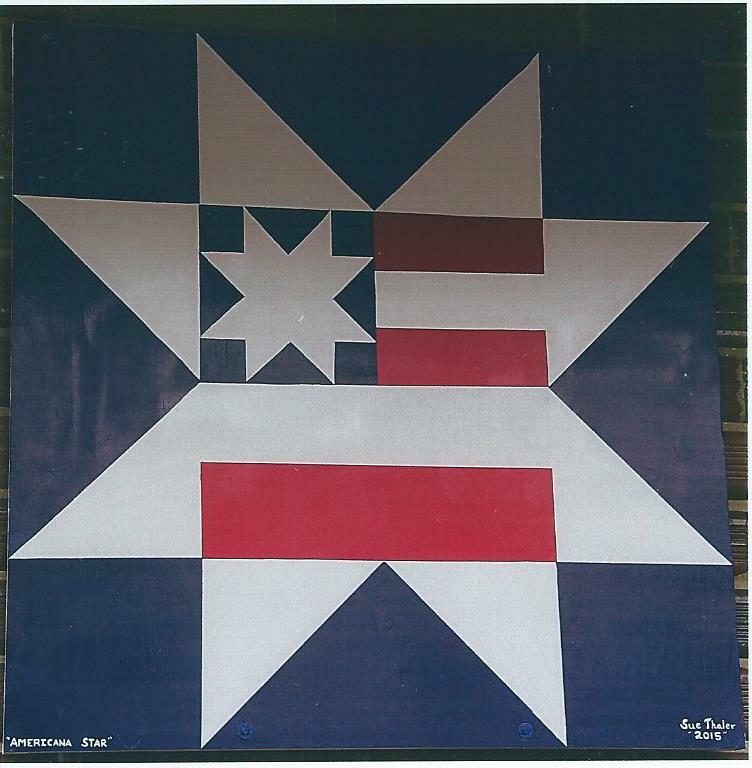 Quilts American star at the Freeport museum. “Spring Into the Past! “Visit some of West Michigan’s finest small museums during this annual event sponsored by the Tri-River Historical Museum Network. This year’s tour is Saturday and Sunday, April 30 and May 1 from 11 :00 a.m. to 5:00 P.M. each day when most museums are open the same days and hours for your touring convenience. Quilts, a card trick at the Ionia Fairgrounds. Twenty-seven area historical societies and/or small museums in Barry, Eaton, Ionia, Kent and Montcalm counties are part of this network of support to one another. Located in quaint depots, churches, town halls, store buildings or houses, each of the museums displays the history of its unique community and people. The annual “Spring Into the Past” tour is a promotional event to raise awareness and generate interest in these small treasures. All will greet you warmly and welcome you into their world of past treasures and local history. Admission is FREE! 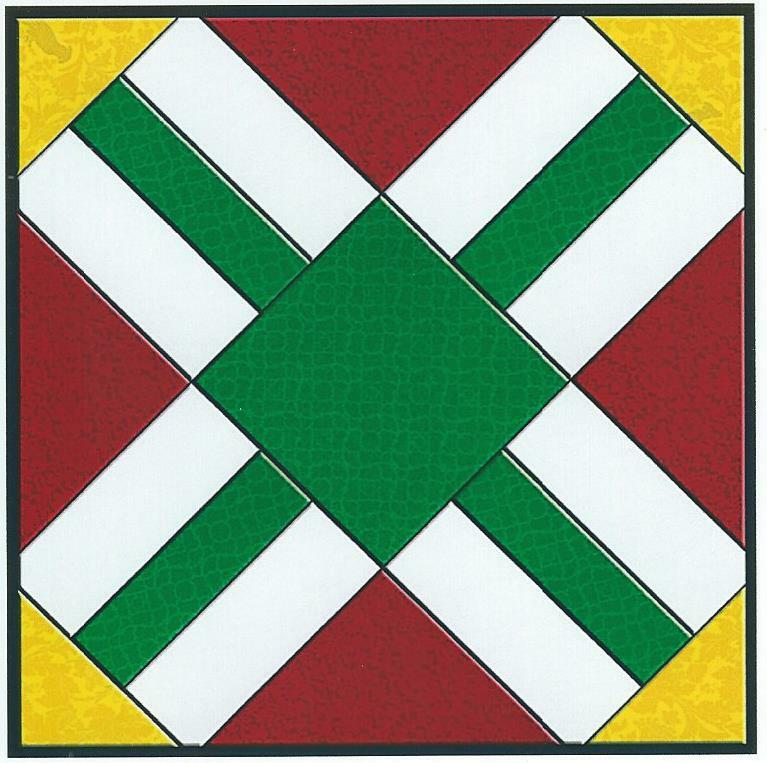 This year’s tour theme is “Quilts –A Stitch in Time” and many museums will have special displays on the theme. 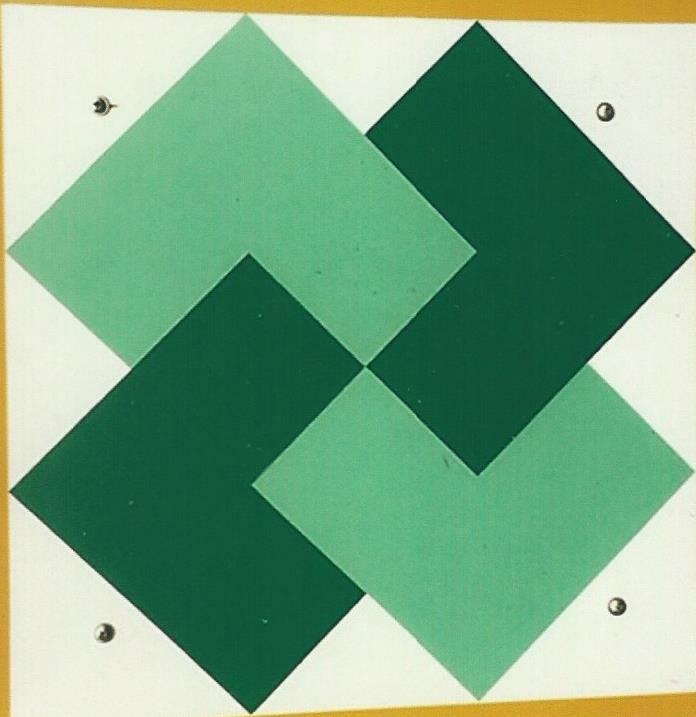 Ask for a brochure about our newly created Tri-River Quilt Trail! 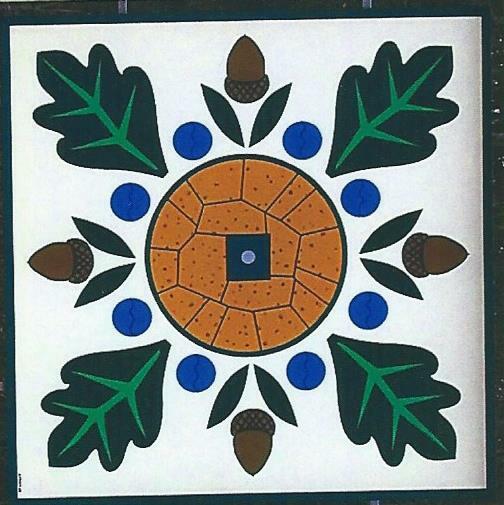 Quilts, oak leaves and acorns. Historical Museum –in old township hall Cedar Springs Museum –in Morley Park, local artifacts and research Charlton Park Historical Village –museum, historic village, rec area near Hastings Clarksville/Campbell Historical Society –no museum, but displays in local pizza shop Fallasburg Historical Village –near covered bridge, north of Lowell Fighting Falcon Military Museum -with restored glider, in Greenville Flat River Historical Museum –with old-time mainstreet -in Greenville Freeport Historical Society –located in the old Masonic Temple Grattan Township Historical Society -in 1853 structure west ofBelding Ionia‘s Blanchard House and Museum –in a stately Victorian Mansion (Saturday only) Ionia Free Fair Antique Village -exhibits only in July during Ionia Free Fair. A big thank you to volunteers Addie Tower Abel and Dottie Blain for manning booth 129 at the Lowell Expo last Saturday. The volunteers stand at the heart of the Fallasburg Historical Society (FHS). Without them none of the annual events would be possible. 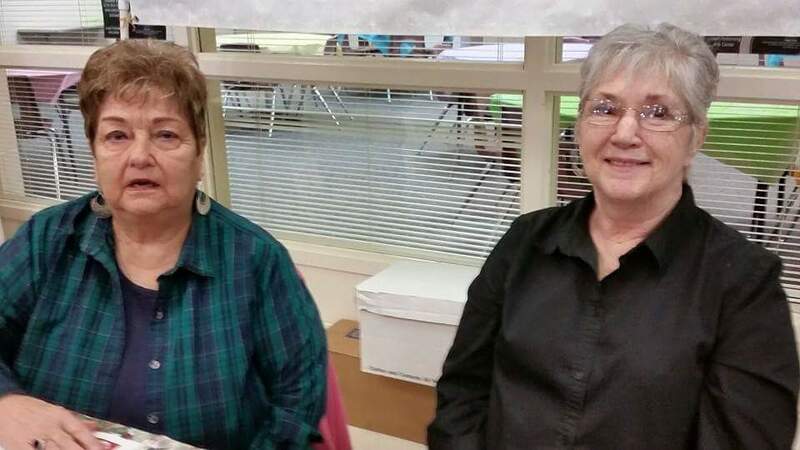 FHS volunteers Addie Tower Abel and Dottie Blain. Lowell, MI- The FHS booth no. 129 will be located in the Cafe at the Lowell High School. 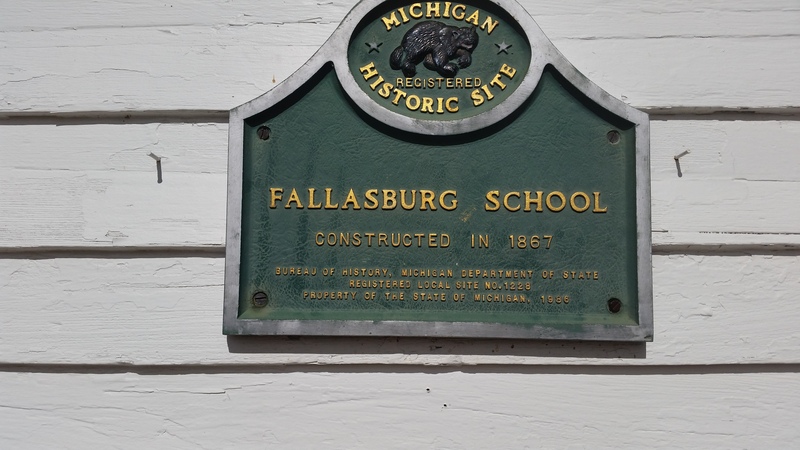 For FHS, this is a unique opportunity to showcase happenings at the Fallasburg historic village located three miles northeast of Lowell, Michigan. 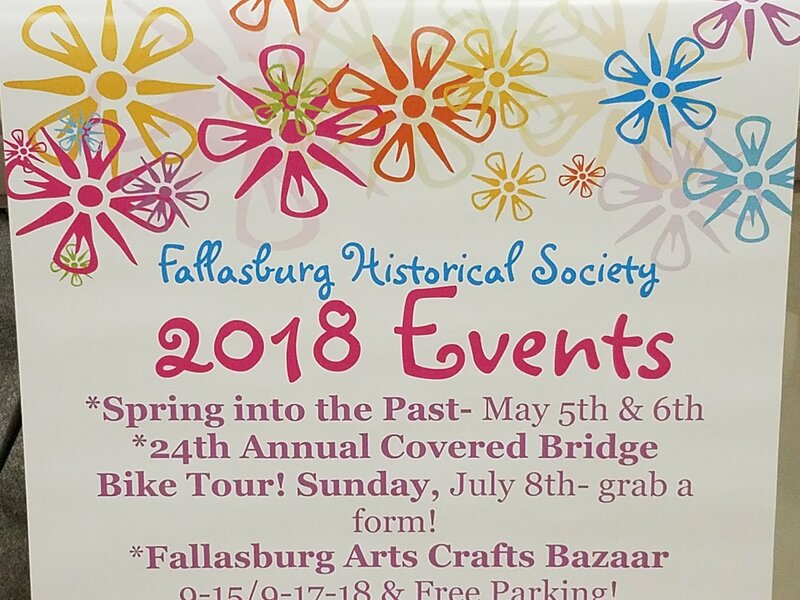 The events and activities that are coming up include the Spring into the Past museum tour on April 30 and May 1, the Covered Bridge bike tour on July 13, the Fallasburg village bazaar on Sept. 17 & Sept.18 during the Fallasburg Fall Fest and Christmas in Fallasburg on Dec. 10th. Fallasburg Covered Bridge replica in the works. The bike tour and the Christmas party are the biggest fundraisers for the FHS, according to president Ken Tamke. Mark your calendars today. Overall there are four main exhibit sections plus the middle hall and the hallway. The flow of traffic starts at the main hall to gym A, to gym B and to the cafeteria. There are also two hallway sections. The venue gets congested so be sure to pick up a map at the entrance. This is the 20th year for the expo which each year presents local businesses, organizations and churches. There will be 40 new businesses at the expo. Annually, the expo features programming and a full menu. Lowell, MI-I was pleasantly surprised last night when I received an update from Germany about the making of the bridge model. Bene Hofmann sent me photos of the replica well on its way now. It is three feet long and six inches wide and in height. 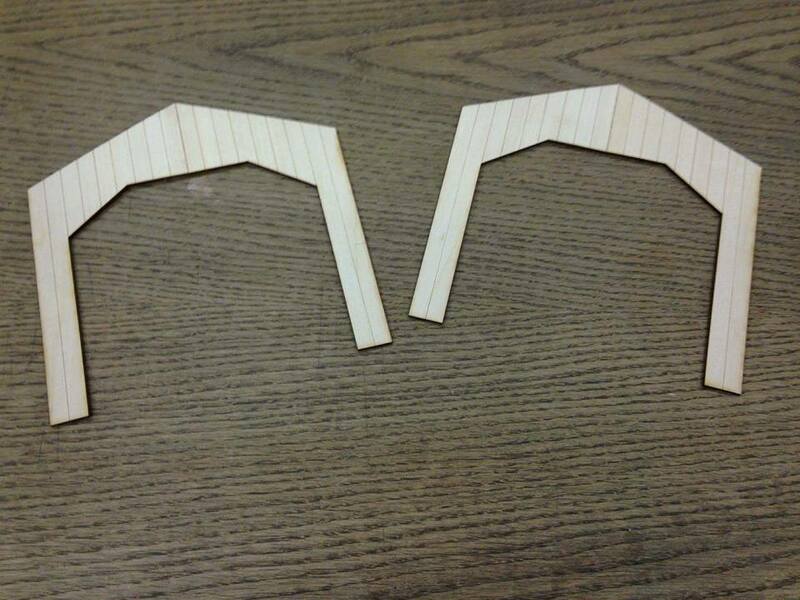 The floor is out of oak and the truss sides out of pine. Hofmann used the 1994 rehabilitation plans of the covered bridge from the Kent County Road Commission to scale the project. His professor told Hofmann about the covered bridges during his visit. Out of all the covered bridges in the USA, Hofmann picked the one located three miles northeast of Lowell in Kent County. The Fallasburg Historical Society (FHS) is very pleased that the signature landmark will put its imprint abroad as well. The bridge is the pride of the FHS and the entire area. Annually it serves as a venue for many events such as the Covered Bridge Bike Tour in July, the Fall Festival for the Arts in September and the Fallasburg Village Bazaar. The model in the making. Copyright (c) 2016. All rights reserved Emma Blogs, LLC. Here is the story of German student of architecture Bene Hofmann. 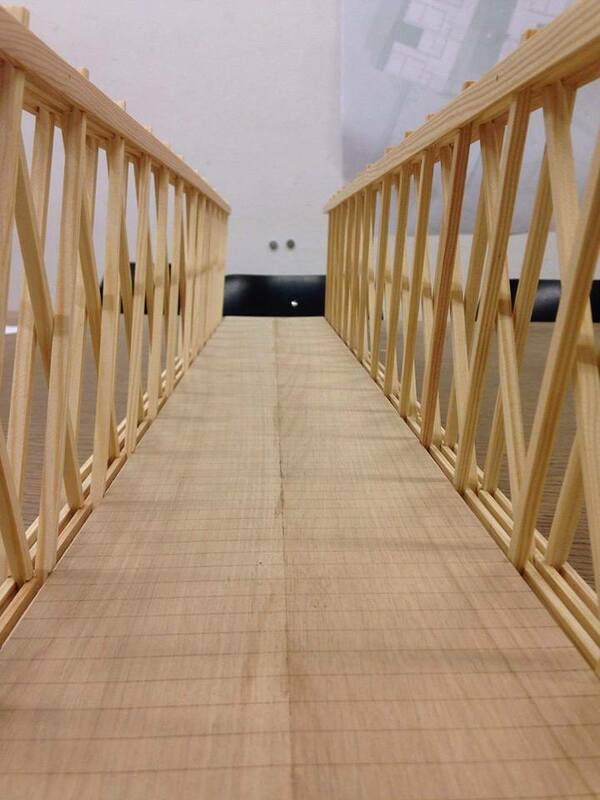 Hofmann will be constructing a model of the Fallasburg Covered Bridge as his school project in Linz. The Fallasburg Historical Society is extremely excited about the project that will spread the word about historical preservation beyond the borders of North America. Hofmann will be using the blueprints from the 1994 bridge rehabilitation project provided by Wayne Harrall of the Kent County Road Commission. Blueprints for the 1994 rehabilitation of the Fallasburg Covered Bridge. 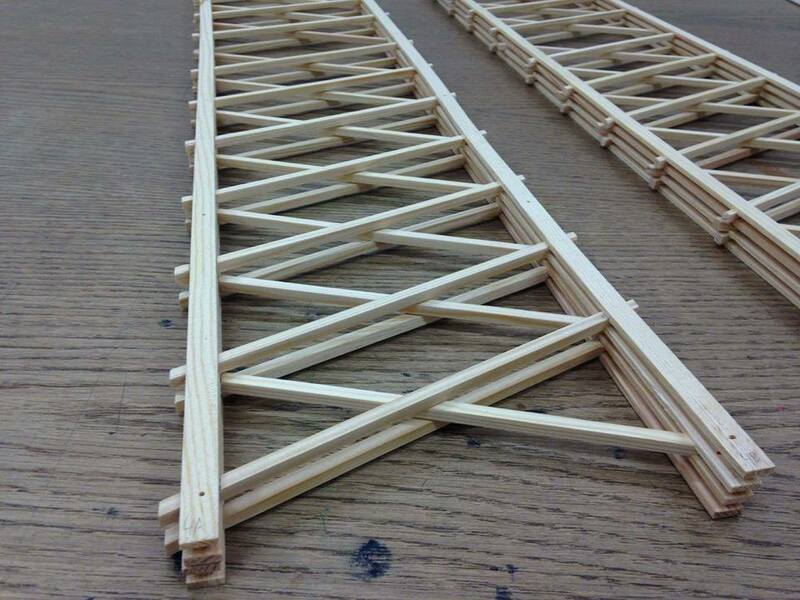 In our first semester subject „structure works“ we had the opportunity to choose a wood or loam building which significantly presents an interesting type of truss work and then build a model of it. I really wanted to choose a bridge, because I admire the way these structures deal with physics. 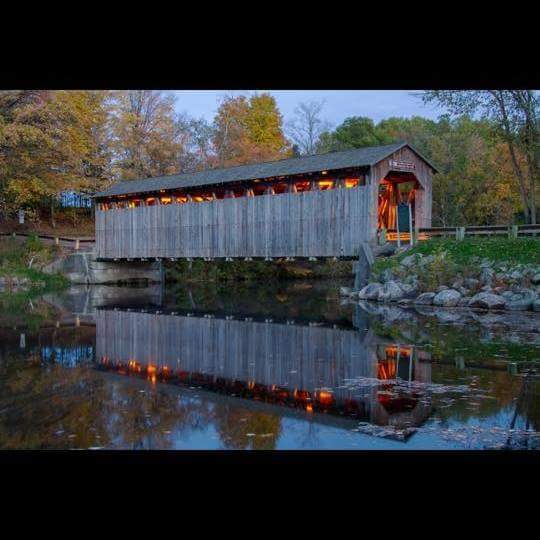 My professor was once in Michigan and told me about the beautiful covered wooden bridges in this area. He told me about his experience when he rode in a coach through one of these covered bridges. So, next thing I was doing was searching on Google for covered bridges and the one I liked the most was the Fallasburg Covered Bridge, the way it’s built and its scenic setting. It perfectly conveys the atmosphere of a traditional historical bridge. That’s why I chose this bridge for my project. I think the most beautiful thing about these places is their tradition, reflected not only in buildings, but also in food and behavior of different nationalities. The Fallsburg Covered Bridge is a really nice and authentic example of what I imagine as a typical rural building. Therefore I think it should get a lot of attention. The Fallasburg Covered Bridge, built in 1871, was listed with the Michigan State Register on February 12, 1959. It was awarded a Michigan Historical Marker on September 10, 1971 and was listed with the National Register on March 16, 1972. Of course, you can visit our website, www.fallasburg.org and subscribe to our e-newsletter Fallasburg Today. But, our social media campaign, website, and newsletter are just a few of the things we’re excited about as we move ahead into the new year. As part of a collaboration project between the Lowell Area Historical Museum and Calvin College History Department, an intern from the college will digitally catalogue FHS artifacts and documents in February. Everyone from scholars to students and school kids will be able to examine our collections when it’s finished. April is winter cleanup time. We’ll be preparing for Tri-Rivers Museum Network’s “Spring into the Past” event in early May. 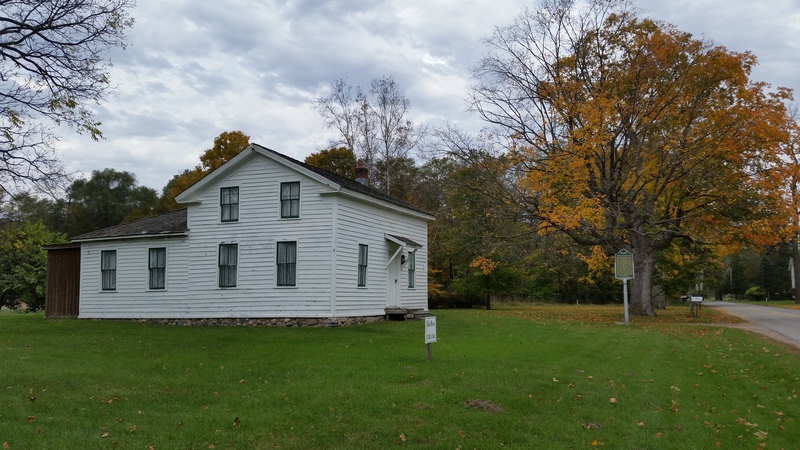 Fallasburg village museums: the one-room Schoolhouse, the Misner House, and the Fallas House will be open to the public for free tours throughout the weekend as will 16 other local museums in the network. There is never a better time to get a glimpse or our rich regional history. On Sunday, July 10 all roads lead to Fallasburg Village… If you’re on a bicycle that is. The 22NDAnnual Covered Bridge Bike Tour takes to the streets for our signature event and chief fundraiser; the legacy of our dear friend and board member, Larry Martin, who dreamed the whole thing up back in 1994. September offers a chance to catch up with FHS once again at the Lowell Area Arts Council’s, Fallasburg Fall Festival of the Arts in Fallasburg Park. We’ll be on the south porch of the Pavilion as we have been for 40+ years. Venture across the Fallasburg Covered Bridge on Fall Festival weekend and check out the Fallasburg Historical Society “Bazaar” featuring more arts, crafts, and treats. Just several steps away you can take in some of the action on Fallas Field as the Fallassburgh Flats host the John Wesley Fallas Invitational Vintage Base Ball Tournament. Four vintage teams will play a round-robin with games all day Saturday. In October, we’re planning a secret Halloween event, but that’s all I can say now. Details will be un-cloaked later… Ghosts in Fallasburg? Cap off 2016 with “Christmas in Fallasburg,” our community celebration at the Schoolhouse and in adjacent Fallas Field on Saturday, December 10 from 6-8PM. Come help us toast another year of preserving historic Fallasburg Village! Copyright (c)2016 Emma Blogs,LLC. All rights reserved. I would like to wish all a great 2016 on behalf of the Fallasburg Historical Society (FHS). Become a member in 2016. Make a difference, help us preserve history of the pioneer 1830s village into the future. Share our vision and campaign Fallasburg Today with your friends. Spread the good news. Horseback riders at the Fallasburg Covered Bridge. My good news is that recently Bene Hofmann, a German student of architecture contacted me via the FHS facebook page. 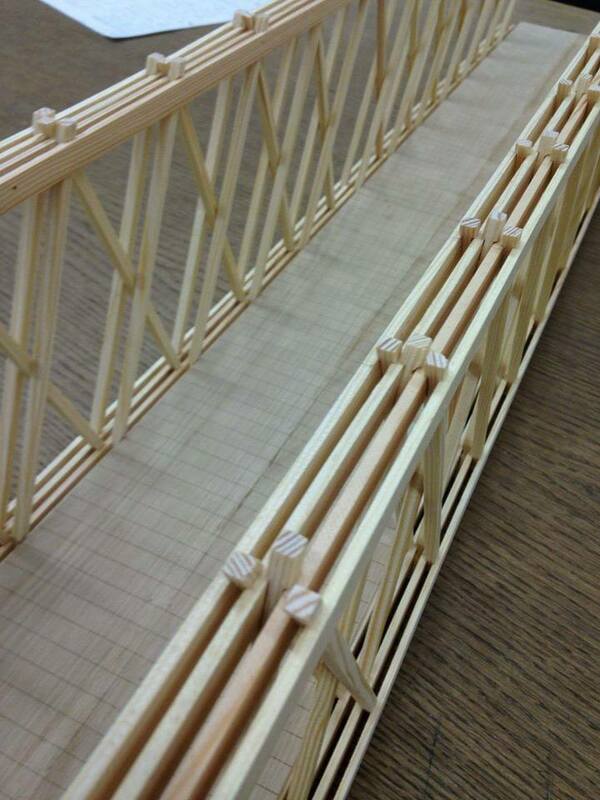 He will be building a model of the Fallasburg Covered Bridge for his school project. Hofmann picked the Covered Bridge out of many covered bridges in the USA based on the structure and color of wood. It’s needless to say that we are ecstatic about this. Our message of historic preservation for future generations has travelled beyond the borders of the USA. It will take on physical shape in Linz, Germany. We’re hoping that the German model will inspire others in their projects. And ultimately that it will bring visitors to this hidden gem. Connect with us on twitter @fallasburg #fallasburg2016 and on facebook. We’re celebrating the 50th anniversary of the West Central Michigan Historical Society, now the Fallasburg Historical Society (FHS). These organizations have been preserving the pioneer tradition of the 1830s village of Fallasburg since 1965. It began with a vision of a restored village and its Covered Bridge, and now only the Tower Farm preservation project remains for the vision to be complete. It ends with our families being able to enjoy it in 2015, this picture postcard from the past. “It’s our heritage, we just have to pay it forward,” said FHS president Ken Tamke. Beginning the second 50 years, it’s never been easier for members, guests, friends and visitors to connect with us on the technology path. “Comments and participation are always welcomed and encouraged,” Tamke said. Fallasburg is now on Facebook. Join the conversation on twitter @fallasburg #fallasburg and on WordPress at Fallasburg Today on http://fallasburgtoday.org. Visit our website at http://www.fallasburg.org and subscribe to our e-newsletter Fallasburg Today. Coming in 2016, after collaboration with the Lowell Area Historical Museum and a Calvin College department intern concludes, the FHS artifacts and documents will be digitally cataloged with collections available for examination by everyone from scholars to school kids. New this year was the Fallasburg Bazaar that we will continue to develop. Our signature events are: Christmas in Fallasburg , the Covered Bridge Bike Tour and Schoolhouse Open Sundays. All these events could use more volunteers. The Tower Farm Preservation Project will need help from skilled building trades as we move through 2016. Please help launch 50 more years of historic preservation and education efforts by renewing your membership in the Fallasburg Historical Society today. And don’t forget to include your e-mail address. 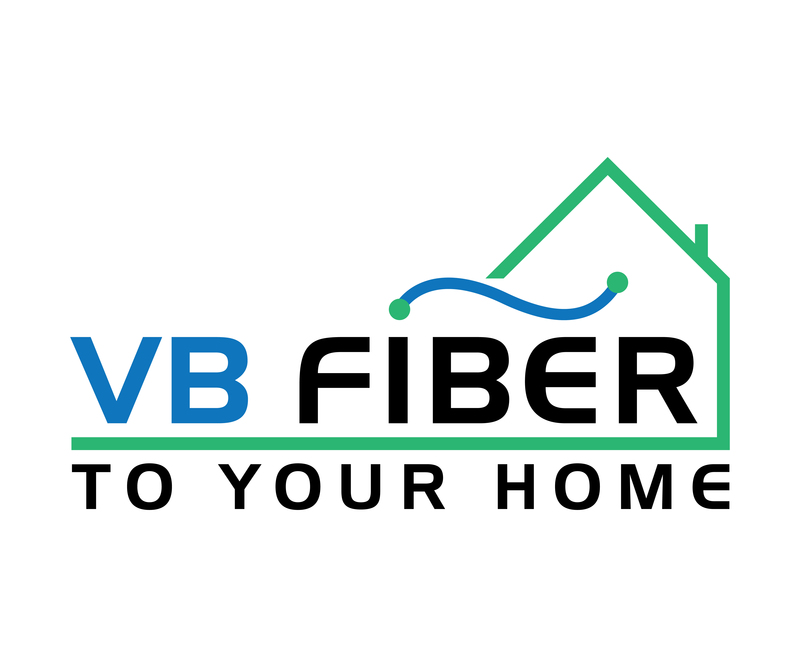 Patronize our sponsors Main Street Inn and Vergennes Broadband. Main Street Inn in nearby Lowell. Lowell, MI- All is good again on the Western front. The Christmas party in Fallasburg last week was a success. We enjoyed good food and company. New people came to the party, as well as old timers. I ran into many friends like Tamela Spicer and Dave Emmette. The December E newsletter Fallasburg Today is in your inboxes. Add fallasburg50@gmail.com to your address book. Check your junk folders. Sign up for it on this site. Thanks to Fallasburg Historical Society for a great year 2015. Looking forward to 2016. Check us out on http://www.fallasburg.org and join our public Facebook group Fallasburg Today. Join the conversation on twitter @fallasburg #fallasburg. Stay tuned for FHS president Ken Tamke’s vision for the next 50 years of historic preservation. Lowell, MI- As the leaves turn burning red and the nights grow longer, the forgotten Fallasburg village sleeps its dream from the 1830s. It was a dream of pioneer John Wesley Fallass who founded the village in 1837 to have a bustling place. He built a mill in 1839 in the village and began manufacturing flour and lumber. 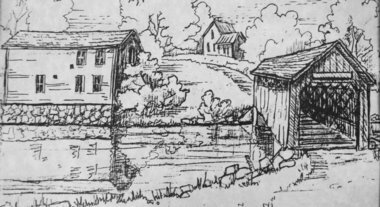 By 1850 the village boasted a grist mill and a sawmill that housed a chair factory. The chair factory may be one of the first furniture factories in the Grand Rapids area. 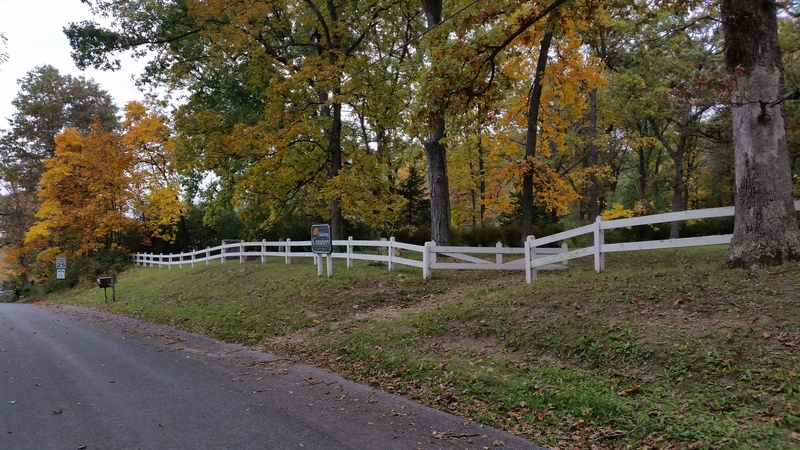 The road into the Fallasburg historical district from the north. The bustling lumbering village also had a stone-mason, a pair of blacksmiths, horse barns, a hotel and tavern, two general stores, post office, distillery, school, a cemetery and a tannery. It became a main stage route from Ionia to Grand Rapids, and a thriving settlement on the banks of the Flat River. But, destiny had it different. Everything changed with the arrival of the D & M railroad line in Lowell instead of Fallasburg in 1858. The village started steadily declining with the post office closing in 1905 and the grist mill was torn down in 1912. The Tower Farm circa 1850 in Fallasburg. However, what is left of Mr. Fallass’ dream remains treasured to this day. The charming hamlet nestles in the northeast corner of Kent County on 42 acres along the banks of the Flat River. The original 1871 Fallasburg Covered Bridge connects the forgotten village to the rest of the world. The bridge is a perfect Kodak spot favored by photographers and newlyweds. Interpretive signs before the Covered Bridge. 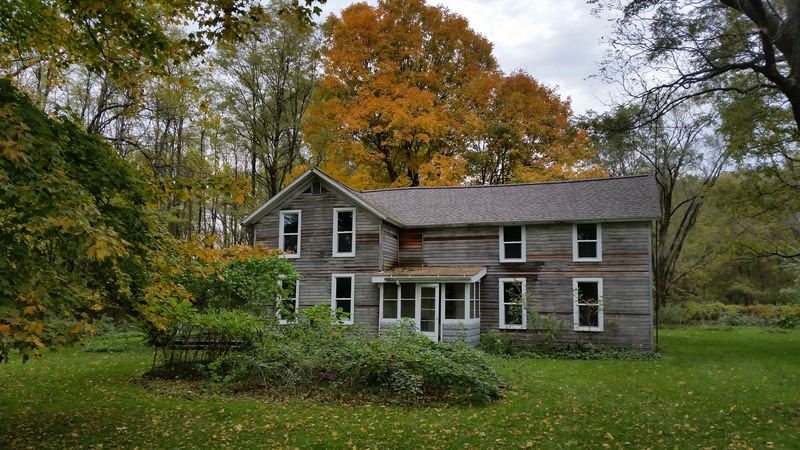 The village includes a schoolhouse, village cemetery, and house museums: John Fallass House, Misner House, Tower Farm & Tower Barn and Fallass Barn. The Covered Bridge stretches 100 feet long, 14 feet wide and 12 feet high. Its lattice-work trusses are made of white pine timbers from nearby Greenville. Currently, it is the only one of two wooden covered bridges in Michigan open to traffic. The area lost the Whites Bridge Covered Bridge due to arson on July 7, 2013. Efforts are in the works to replace the sister bridge. The entire village is on the National Register of Historic Places. 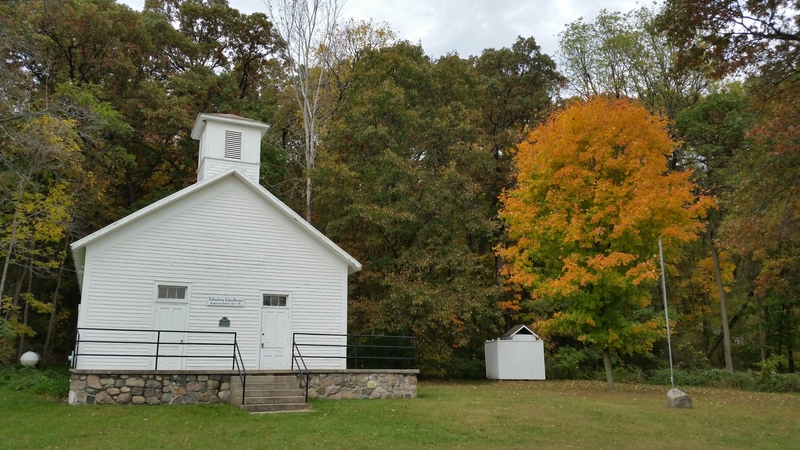 The one-room schoolhouse is open on Sundays. 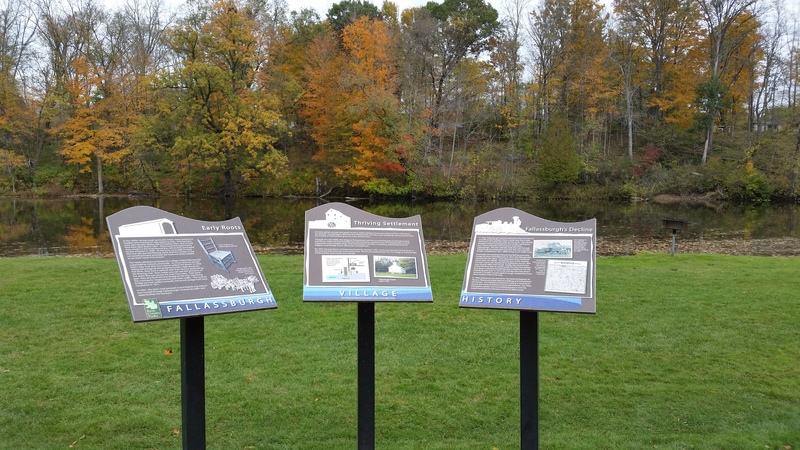 Take a tour on a picture perfect day, stop by the new interpretive signs in front of the Covered Bridge and get to know the story of the old Fallassburgh from the early 1830s roots to its decline in the early 1900s. But, slow down or you will get a $5 fine for riding or driving on the bridge faster than a walk, according to original 1872 signs. You will immerse yourself into the past filled with villagers who played out the story. These included the founding Fallass family, the Moon family who were educators in the area, the Tower family and postmaster John M. Waters. The Fallasburg Historical Society (FHS) has maintained the village since 1965 thanks to resident Leonora Tower who decided to share this gem with the community. The FHS president Ken Tamke said the lack of continued development has been both a blessing and a curse. None of the current residents known as villagers wish for any further development other than maintaining the existing historical properties, according to a feasibility study conducted by Vergennes Township. A county park that surrounds the village is used for weddings, reunions, company and Rotary picnics. You can hike, bike or ride through the park and the village. It is the hope of FHS to restore the Tower Farm for community meetings and to maintain the house museums. A section of North Country Trail (NCT) runs through the village next to the Tower Barn. Venture out to Fallasburg during the upcoming Lowell events Girls Night Out on Oct. 15 and Christmas through Lowell on Nov. 20, 21 & 22. Mark your calendars for the annual “Christmas in Fallasburg” party this year set for Dec. 12 from 6 to 8 p.m. Suggested donation is $20. Patronize our sponsors http://www.mainstreetinnlowell.com just three miles south of Fallasburg. For more information go to http://www.fallasburg.org.